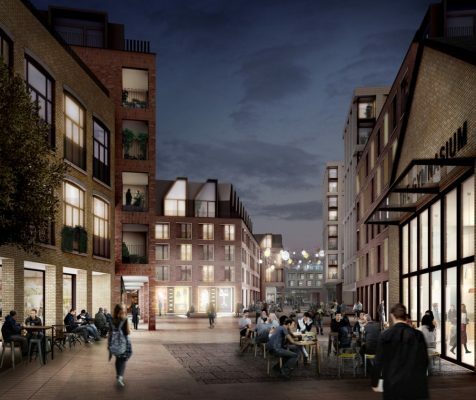 Sheppard Robson has submitted plans to The Royal Borough of Greenwich Council for a residential-led, 316-unit development in Woolwich, which carefully weaves together existing buildings and architectural additions with a new public realm, cultural and retail facilities at the heart of the development. 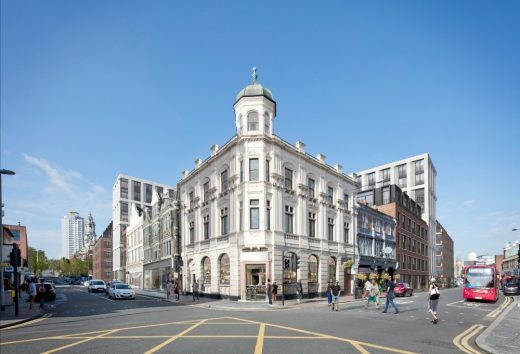 For client Real Estate Investment Management, the design of the £75m development revolves around a cohesive architectural language that is distinctive yet sympathetic to the surrounding, mostly Victorian, buildings and highstreets. 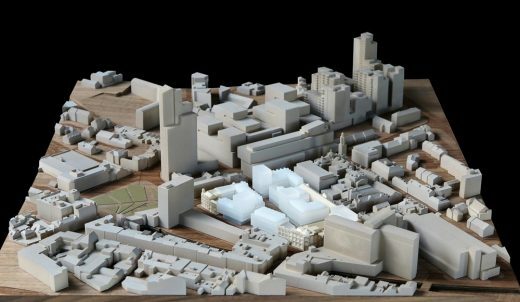 Subtle variation in materiality, form and proportions help give an overall feeling of clarity and quality to the project, responding to the urban characteristics of the adjacent Bathway Quarter as well as improving connections with the Love Lane and the Powis Street retail area. Positioned strategically on a one hectare site in Woolwich are five new brick blocks that knit together the urban block and help define project’s new public space. The lower-rise blocks follow the perimeter of the site and are formed of red brick; the scale and materiality of these are consistent with the adjacent highstreets. Further rooting the parameter of the Wellington Street elevation within its high-street context, the rooflines of the design is animated by a series of metal, geometrically-faceted dormers that relates to the varying and more decorative rooflines found on the street. Responding to the differing architectural characters found around the parameter of the site, the elevation on Thomas Street has a roofline made up simpler forms, reflecting the more regular architectural styles of the street. The facades are defined by a repetitive rhythm to the windows, which are either flush or recessed, depending on the orientation and the solar shading required. The facades of the parameter buildings consist of single-height bay forms whilst the three taller buildings have a double-height bay structure to the façade, helping these larger structures sit comfortably within their urban setting. 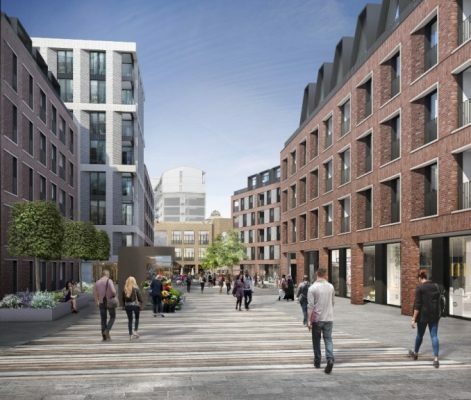 The taller buildings are designed in lighter brick, with these distinctive forms signifying the entrances to the new public realm that sits in the centre of the development. This public, newly landscape space will provide access to a new arts cinema, relocated dance school as well as café, restaurant and retail facilities that animate the ground floor of the central space as well the perimeter of the site.